Do you have a lot of content on your website created in WebWave free website builder with no coding? I bet you could use a customized content search. In this article, you will learn how to add it to your website. 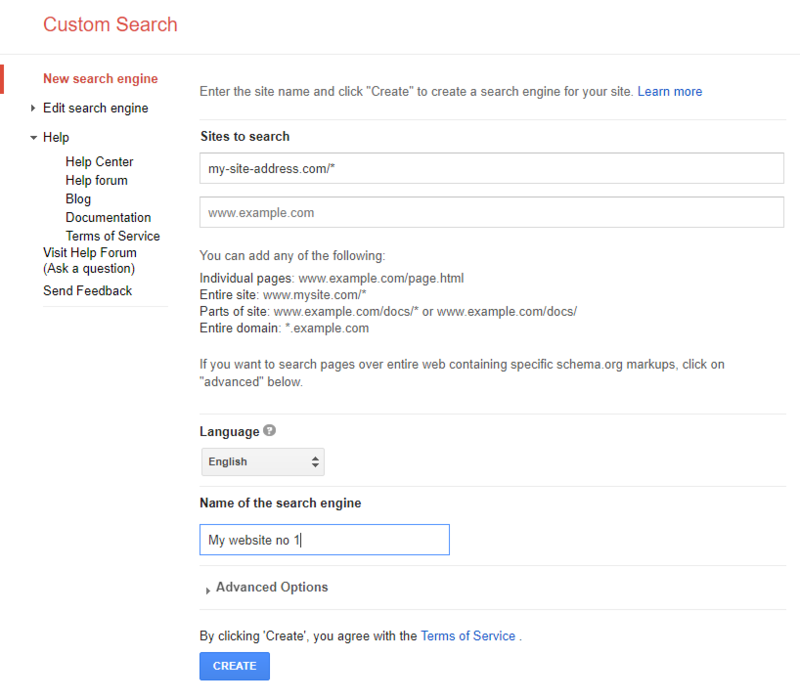 Go to https://cse.google.com/cse/ and select "Create a custom search engine". In sites to search enter site address of your website and add /* at the end, for example, my-site-address.com/* . Select search language, give it a name and create. Get the code and copy it. Go to website builder WebWave and add to your website an HTML element.